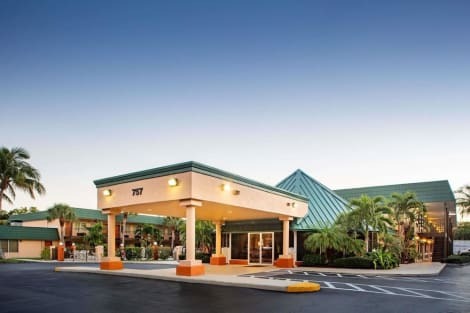 When you stay at Best Western Plus Palm Beach Gardens Hotel & Ste & Conf Ctr in North Palm Beach, you'll be in the business district, within a 15-minute drive of Jupiter Beach and Port of Palm Beach. This resort is 8.1 mi (13.1 km) from Rapids Water Park and 6.9 mi (11.2 km) from Roger Dean Stadium. Take advantage of the hotel's room service (during limited hours). A complimentary continental breakfast is served daily from 6:30 AM to 9:30 AM. lastminute.com has a fantastic range of hotels in North Palm Beach, with everything from cheap hotels to luxurious five star accommodation available. We like to live up to our last minute name so remember you can book any one of our excellent North Palm Beach hotels up until midnight and stay the same night.